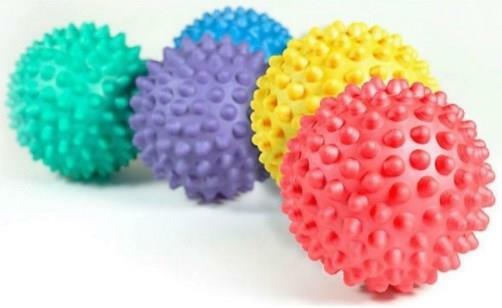 The Spikey Massage Ball might be just the thing for you! It is used to perform self massage exercises and muscle release techniques, stimulating the effect of a sports massage. The spikes knead deeply into your muscles and can be used to rectify complaints such as: sports injuries, workplace soreness and general posture problems. The spikes on the ball are used in a friction motion over the affected muscles to stimulate the muscle and promote relaxation.